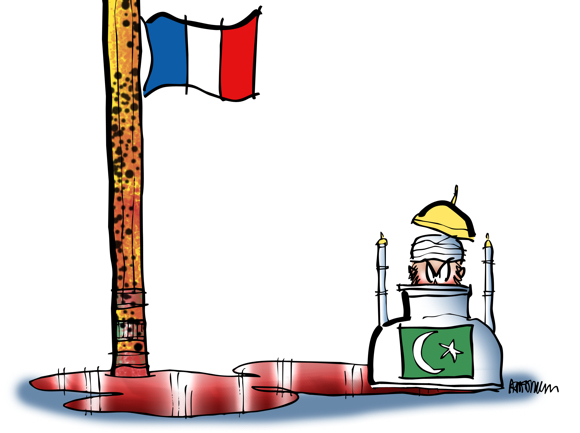 In January 2015, Islamic terrorists killed 12 people at the offices of Charlie Hebdo, a French satirical newspaper. Five of the victims were cartoonists. 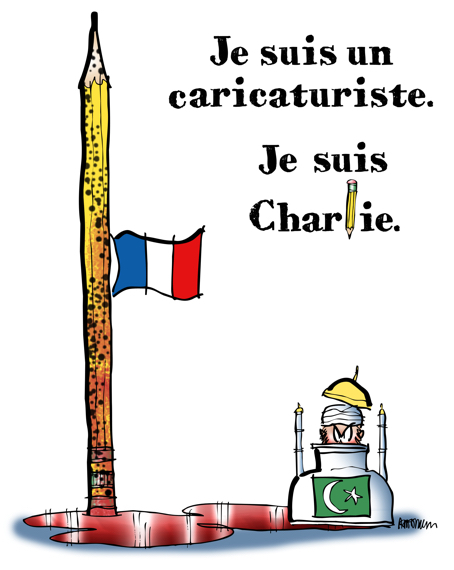 Cartoonists around the world drew cartoons that proclaimed “I am Charlie” to show solidarity with the newspaper and freedom of expression.